International Insurance Institute, Inc.SM provides claims training, and a variety of other superior services dedicated to the enhancement of the insurance industry. 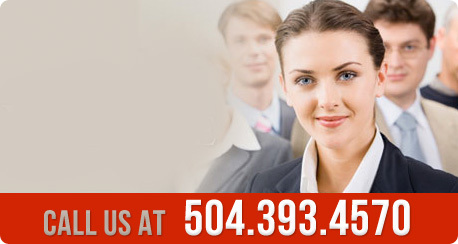 We offer a variety of superior services dedicated to the enhancement of the insurance industry. Our goal is to assist the claims environment in its many highly technical and ever changing methods of operation via our analysis recommendation and educational processes. We strive to deliver information and education that is both enlightening and useful. We not only can assist in identifying needs, but fully develop procedures and training to facilitate immediate and significant improvement. With a track record of in-depth claims experience, we are committed to servicing the needs of our customers from beginning to end as no other individual company can. From initial needs analysis to flowcharting procedures; from workflow documentation to improvement design; from program improvement development to implementation and monitoring; from training course development to facilitation, International Insurance Institute, Inc. will be there to fulfill your needs and exceed your expectations. You don't have to come to us; we go to you! For fifteen students or more we will come to your location and train on-site anywhere in the world. All instructors are experienced Claims Managers and Certified Instructors that specialize in real-life claims applications. Click here to read what our customers have said about us. International Insurance Institute provides more than just the finest claims training in the world, we also provide the following valuable related services. Thinking of booking a date for your staff? Click here to view the Training Schedule. We have expanded our claims training services to the following countries: Canada, Australia, and the UK.